A native Dundonian, Jimmy was one of a group of teenagers signed from St Mary's Youth Club in the summer of 1955, along with Jimmy Coyle, Fred Grubb, Alex Will and Dave Sturrock as part of manager Reggie Smith's plans to recruit local young players. He made an early debut for the club, in the first league match of the season against Brechin City and quickly became a regular in the first team. His professional football career was interrupted when he was called up for national service in 1958, by which time he had already played under three different managers at Tannadice. He was allowed to travel home occasionally to play in matches, and returned just in time to make a vital contribution to Jerry Kerr's push for promotion during the 1959/60 season - scoring a crucial penalty-kick in a 2-1 win at Falkirk in the penultimate league match of the campaign, his first goal for United. Promotion to the top flight brought full-time football to Tannadice for the first time, and Jimmy left his role in the RAF behind and for the next seven seasons, Briggs was rarely missing from Jerry Kerr's starting line-up, eventually became club captain. Jimmy was an influential part of the side that solidified United as a top fight side, reached the club's first Scottish Cup semi-final in 1963, their first League Cup semi-final in 1964, and the final of the Summer Cup in 1965, picking up a runner-up medal. 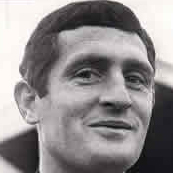 The 1965-66 season saw Briggs and his team-mates take United to new heights, with their 5th place finish the club's highest ever league placing at the time, and it was enough to secure European qualification for the first ever time. Perhaps his proudest moment as a Dundee United player came when he captained the club in its first ever European match, away to Barcelona in 1966, as United shocked Europe by winning both legs to knock the holders out. He also led the side against Italian giants Juventus in the next round. In the summer of 1967, Jimmy refused to resign prior to the club's trip to the USA to represent Dallas Tornado in the United Soccer Association. He was dropped from the squad and lost the captaincy, but fences were soon mended and he flew out to join his team-mates midway through the tour. The beginning of the end of his Tannadice career came in January 1968 when he suffered a broken leg in a Scottish Cup win over St Mirren, only returning for a few Forfarshire Cup ties and a tour of Norway at the end of the season. In August he broke the same leg in a Forfarshire Cup semi-final against Arbroath and never fully recovered. Playing only sporadically over the next two seasons, he came off the bench for another appearance in Europe, this time facing Newcastle United, but was unable to claim back his first team berth and instead played more regularly in the reserves. In 1970 he left the club to join Montrose after rejecting the offer of a coaching role at United. After just a few months at Links Park, he finished his career with Highland League side Keith before retiring from the game and returning to Dundee and his trade as a toolmaker. Jimmy passed away at Ninewells Hospital in April 2011, aged 74. He is still widely regarded as one of the finest and loyal players to have played for the club and this was reflected in 2008 when he became the first ever player to be inducted into the Dundee United Hall of Fame. It isn't often that someone hits a hat-trick, but finishes on the losing side, but that was the fate of United forward lan Mitchell at Broomfield.